I’m pretty enthusiastic about this blog hop and thankful that Kai Strand asked me to participate. Not because I think one of my books will be The Next Big Thing, but rather, because this hop is about a lot of authors getting together to share their readers and to help them to find other great authors to read. That is very, very exciting! And, who knows? Maybe one of the authors will be the next big thing, and I’ll have had a hand in helping them. If you’re just joining the hop, the dealio is that each author is supposed to anser ten questions about one of their works, either a book or work in progress. I decided to focus on My Wishful Thinking, which is set to release later this month. The title of my upcoming book is My Wishful Thinking. It’s the story two best friends who must share a lovable, but nerdy, genie. Can I pick someone other than actors? Because the images in my mind are personalities or celebrities but not necessarily actors. Lo, the MC needs to look like Katy Perry, but act more like Pink. She’s a little hard on the outside, but pretty gooshy when you get beyond her exterior. For Eugene, I’d pick a young Prince Harry. He’s respectable with a little mischief lurking. And, I’ve always thought of Em as Erin Sanders, who played Quinn on Zoey 101. This is cliché, but – Be careful what you wish for. Self–published, although I prefer the term indie-published because I do contract out the cover, the editing, the formatting, etc. Ha! Depends on how you look at it. If you count from when I first had the idea, and started outlining and wrote the opening scenes, then it’s two years. But the truth is I didn’t work on this for a solid two years. After I did all that getting-it-started stuff, I put it on the back burner and worked on other things. While any project is on the backburner, it stays on a very low simmer. Actually, I do this with all my books, and I probably have about twenty things simmering right now. That can seem overwhelming at times, but at least I won’t run out of ideas. For this one, I might have gotten an idea about one of the wishes the girls made, or a little revealed to me about who an antagonist might be. Then, from the point I took it off the backburner and decided to cook it up, it was five to six months of regular writing to finish the first draft. It’s similar in tone to my novel Winging It! It’s also a little like Sarah Mylanowski’s Gimme A Call in that they main character is trying to re-shape their life for the better. Uh, probably that TV Show, again – “I Dream of Jeannie” — but seriously, I really enjoy writing books that are light, include some heart, and if I can include something a little bit magical. Besides, who wouldn’t love to have a personal genie? There is a more serious thread about Lo’s parents’ divorce and her single mom who is struggling to do a good job at parenting. My parents split up when I was in college and while nothing in my life was as messy as Lo’s (both my parents are great! ), I remember wishing then that they’d get back together. I think that’s normal, and actually common, so for anyone who has been through that, maybe they’ll see some of themselves in Lo. 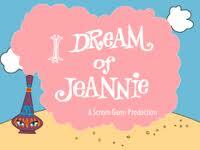 I love I Dream of Jeannie! And I love your characters. Can’t wait for this one to come out. Cute cover. Thanks for participating in the blog hop, Shel! October 10, 2012 at 4:27 pm. Permalink. October 10, 2012 at 5:18 pm. Permalink. October 11, 2012 at 1:27 pm. Permalink. October 16, 2012 at 1:15 pm. Permalink. October 17, 2012 at 6:27 pm. Permalink. I squealed when I saw your cover! It’s so cute! Thanks for tagging me in the blog hop! October 17, 2012 at 8:56 pm. Permalink.